"Do you eat Fruity Loops for breakfast at your Cubase? Are you Ableton to make an awesome track? Does this sound Logic or make any Reason? But most of all... Do you LOVE Techno? Grab all the vocoders, grooveboxes, MIDI Keyboards, triggerfingers, distortion units & compressors you can find. Launch your favorite production software and start building the most awesome track you have ever built. 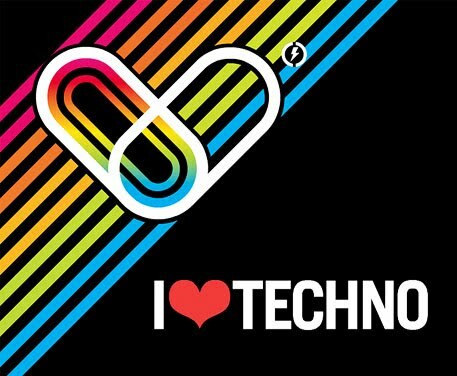 Maybe your track will become an official track for this year's edition of ILOVETECHNO. The selected track will be featured on our official ILT promotional cd and will be distributed digitally on iTunes & Beatport by the record company News. And, as a bonus, you + 10 of your best friends will be invited as a VIP on the next ILT edition. This is an amazing opportunity for you to get your music out there and heard by a whole host of people, not to mention the fact that you and 10 mates get VIP festival access! Entries for the comp must be in by 15th June, so don't delay...get involved now by following the link.